Amadou Tall understands perseverance. He spoke little English in 2014 when, at age 19, he moved from the African country of Senegal to Parsippany to join sister and mother. He was determined to earn his high school diploma. NewBridge Jobs Plus Program Director Amy Sheppard directed him to an English as a second language course, and accepted Tall into the NewBridge Jobs Plus Class of 2017 when he completed it. Working full-time at a grocery store, Tall would often walk the mile to the program. When Tall had trouble understanding assignments, Youth Case Manager Gaelle Joseph explained them to him in French, which he learned growing up. His English continued to improve. “They helped me so much with reading and writing skills,” he said. 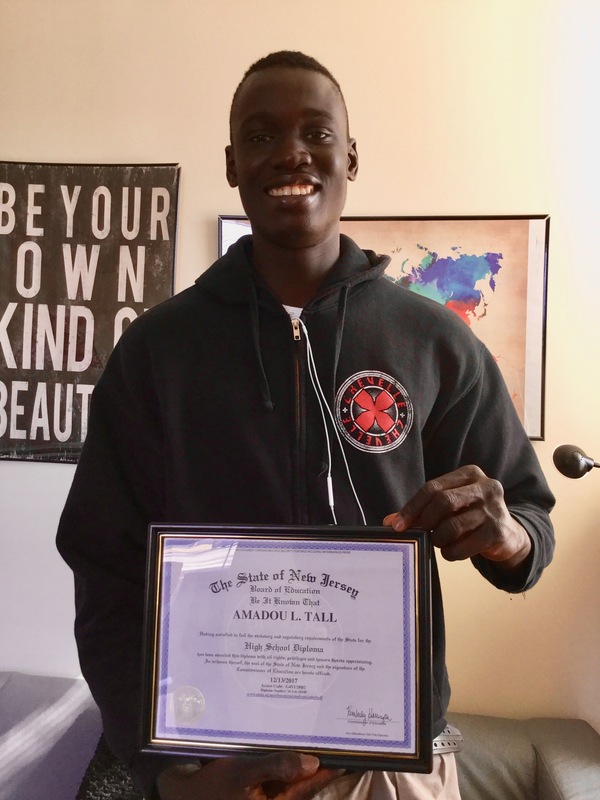 Tall didn’t pass the exam on the first try, so he hit the books again and earned his high school diploma last December. A NewBridge Jobs Plus outing to a nursing school inspired him to pursue a nursing career. Career and College Counselor Jill Worrall helped him enroll at County College of Morris, where the 6-foot-4 Tall is a freshman playing on the men’s soccer team. “I’m happy I achieved this goal, and am thankful to everyone at NewBridge,” the 23-year-old said.